In order to appreciate the health benefits of drinking water, I have found it most helpful to look at health from the cellular level. 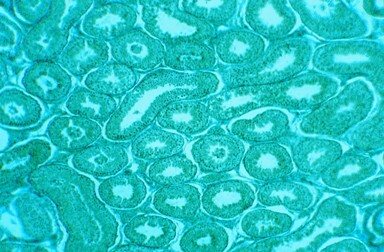 Scientists tell us that we have somewhere between 70 to 100 trillion cells in our bodies. Common sense tells us that if we have healthy cells, we will have a healthy body. So, what constitutes a healthy cell? I could write a whole book on this topic. It is fascinating and inspiring to delve into the workings of the highly intelligent and complex functioning of the human body, especially at the cellular level. A healthy cell is one in which the nutrients can easily get into the cell and the toxins can efficiently get out. This process is referred to as “cell water turnover” and I believe the efficiency of this process is the essence of physical health. Adequate hydration is obviously essential to cell water turnover. Our cells need nutrients to survive. Not only is water the transport fluid for nutrients to get into the cells, water itself is a nutrient. In fact, oxygen and water are the most important nutrients for the human body. Thus, water plays an important metabolic role in all functions in the body. Eliminating waste is another one of the essential health benefits of drinking water and efficient cell water turnover. This is the factor that I think people overlook the most. “All diseases are nothing more than different expressions of toxicity." He says it works like this: “Genetically, each of us has stronger and weaker areas in our bodies. As you accumulate toxins during your lifetime, your toxins congregate in the weakest areas of your body because that is where they get the least resistance. With rare exceptions, I believe optimal health ultimately comes down to the quality of the environment within the body. And that environment is primarily composed of water. 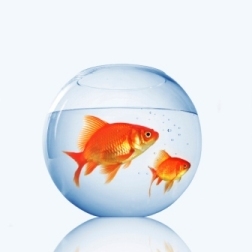 Over the years I have heard a number of health practitioners make the analogy of human health to living in a fish bowl. I like fish and, for some reason, the analogy always makes me smile, so I will share it here in case you haven’t heard it. Think of the environment inside your body as a fish bowl and your cells are like the fish. If you’ve ever had an aquarium or fish bowl, you know that if you don’t change or filter the water regularly, the fish will die. Why is this? Because fish eat and eliminate waste (as in cell water turnover). If the wastes in the water are not removed, they build up and can eventually choke the fish (our cells) to death. When water is deficient, wastes build up in the fluid that surrounds the cells, preventing nutrients from getting into the cell. When toxins accumulate, they can deprive the cells of oxygen and even cause cell mutation, a primary cause of cancer. Likewise, when water is lacking in your body, one of the first functions that is affected is detoxification. All of the detoxification functions in the body—including breathing, sweating, urinating and defecating—require water. However, the body is ingenious at adapting. When dehydrated, it will safely store toxins in various places in the body, such as in fatty tissue, in arterial deposits or in the joints. In other words, it will store the toxins in safe places—away from the major organs. So our life is preserved in the short term, but the long-term health consequences are significant. Because those stored toxins are only "safe" for a while. As important as it is, efficient cell water turnover is only one of the numerous health benefits of drinking water daily. In addition to water, healthy foods nourish life and fuel energy. Since most adult bodies are about 70 percent water, it is easy to comprehend how important water is. You might be interested to know that babies are approximately 80 to 90 percent water and many elderly people are only 50 to 60 percent. This information, in itself, gives us a clue into the health benefits of drinking water for slowing the aging process. As far as I am concerned, EVERY health condition, illness and disease is affected by water, as explained above. This is not to say that water alone will cure every disease. However, I do believe proper hydration is often the missing link and should be an essential part of every health program. Drinking Lemon in Water - How Much, How Often, Hot or Cold? Drinking Water and Acne - Is There a Connection? Natural Allergy Remedies - Water, Water, and More Water!